← Such A Treat – Pork Belly! It’s been a wonderful weekend. The sun has been shining and the temps above freezing. What a treat! Even though it’s not our week for the kids we had to help our son get supplies for a water project he has to do for school. His experiment has to do with hydroponics which we are very curious about. It gave us a chance to take him to lunch and hang out with him a bit. 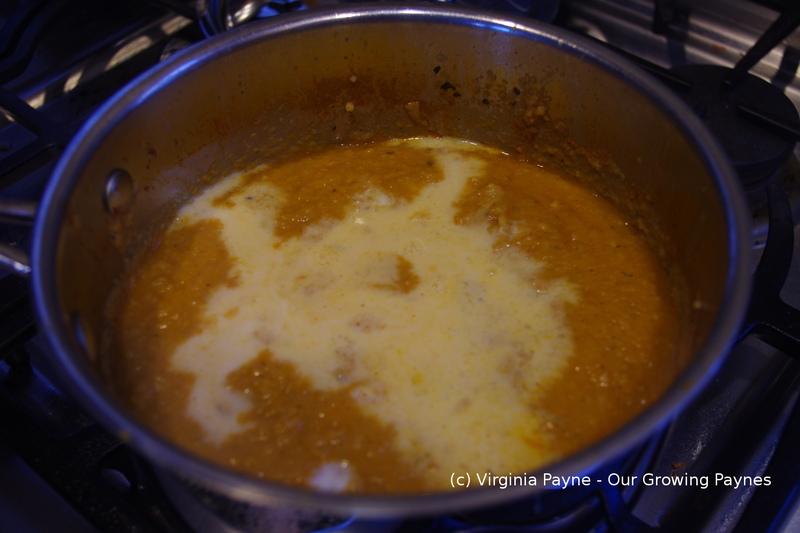 We had the kids for supper on Thursday and with it still being chilly I made parsnip curry soup. 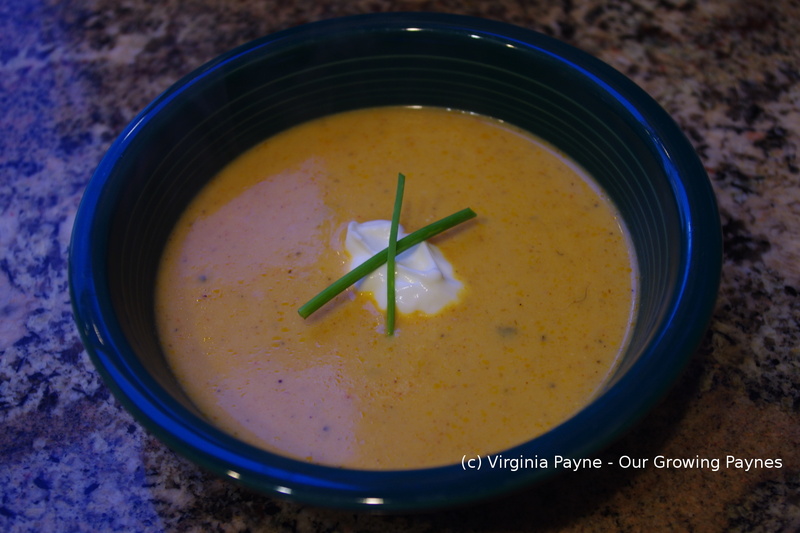 My husband has made this soup several times and it’s wonderfully warming when you are sick. I thought it would give it a try. A very simple quick soup full of flavour. We got the recipe of American’s Best Recipes. I did change it a bit. Peel and dice a pound of parsnips. Do this first as this takes a bit of time. Set aside. 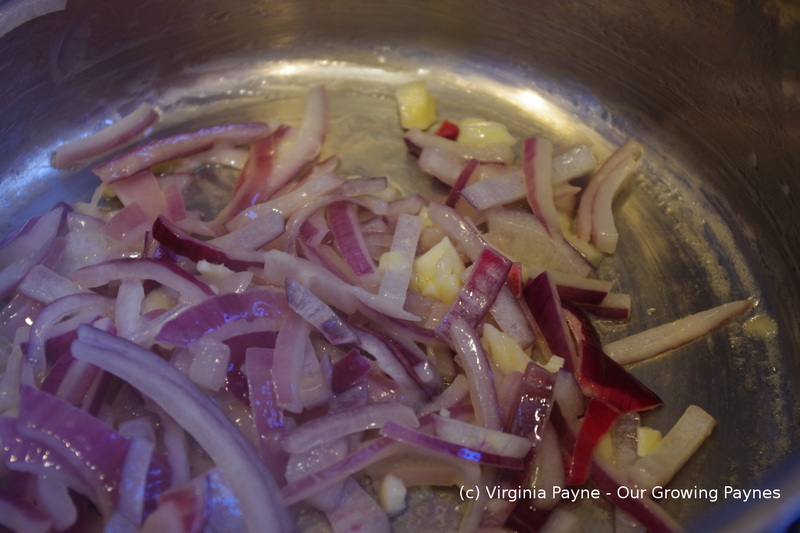 Chop half a red onion and coarsely chop a couple of garlic. In a saucepan melt 2 tablespoons of butter. Cook the onion until softened. Add the garlic and cook for a couple of minutes. Add about 2 tsps of cilantro and 2 tsp of cumin. 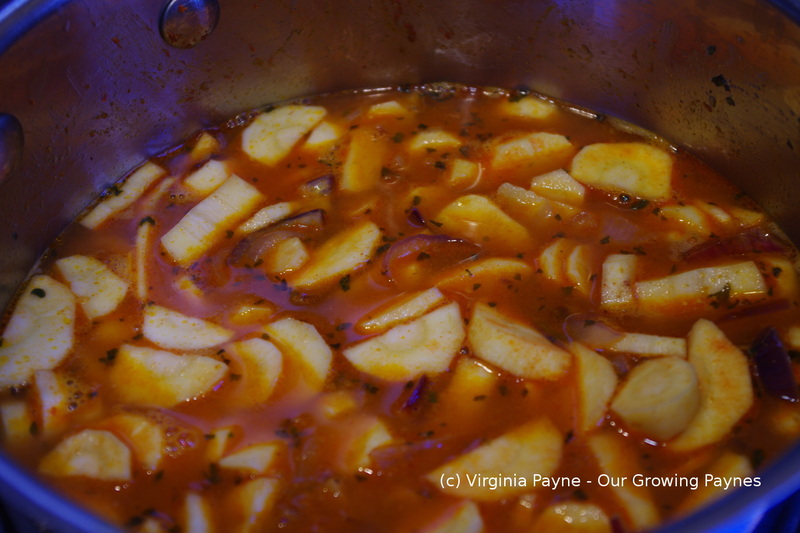 Stir well then add the parsnips to coat and cook for a few minutes more. 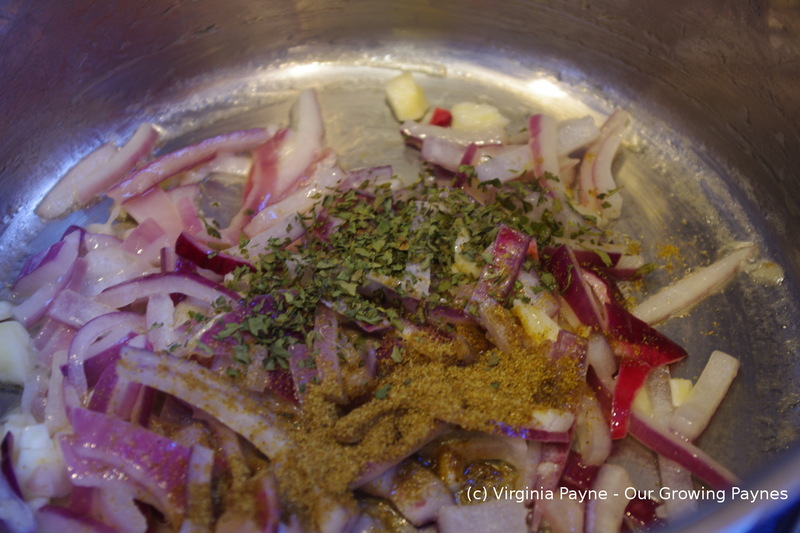 Add two heaping spoonfuls of the curry paste of your choice. 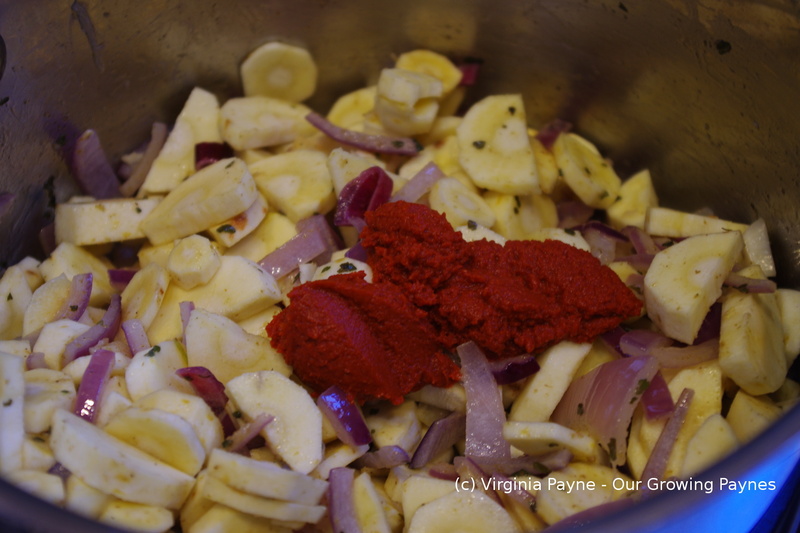 Here you can make it as spicy or mild as you would like. Add two cups of chicken stock and bring to a simmer. 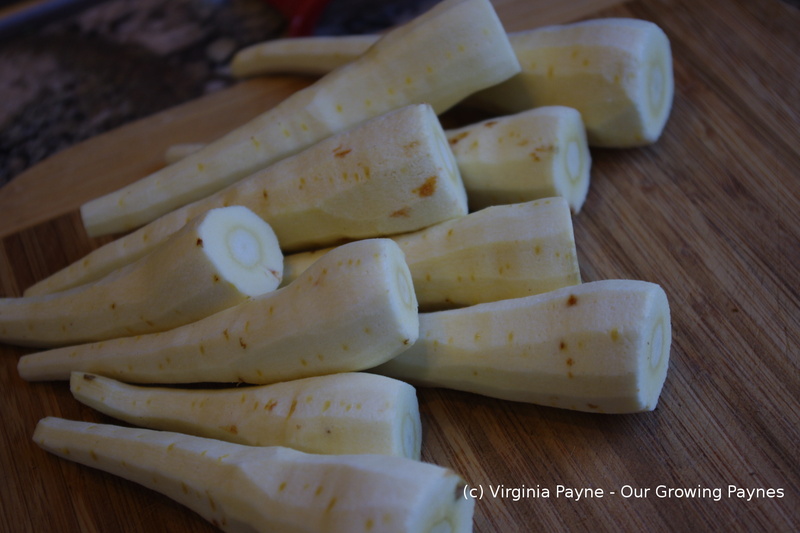 Cook until the parsnips are cooked and softened. Add 2 cups of milk, 2 spoonfuls of sour cream, and a few squirts of lemon juice. Remove from the heat and blend the soup. We use the immersion blender and we are ok with it not being 100% smooth but blend to the smoothness you like. Heat through and it is ready to serve. Add a dollop of sour cream and a bit of chive. Now off to play with my new tablet and finish setting it up. I’m such a geek when it comes to gadgets and tech stuff. Just wish I knew more about it! This entry was posted in recipes and tagged butter, cooking, curry, curry paste, dinner, food, garlic, Onions, parsnip curry soup, parsnips, soup. Bookmark the permalink. Thanks. I hope you enjoy it! This is one of my favourite soups .. I use a similar adapted recipe from Mary Berry’s Aga cookbook. Delicious! And to think I didn’t like parsnips growing up! Exactly! I think the beauty of the soup is that it’s not quite recognisable as parsnip. True though now that I love parsnips I look for recipes. Funny how tastes change. I’m having so much fun with it! I’m pleased with my choice and am having a geeky week. LOL. 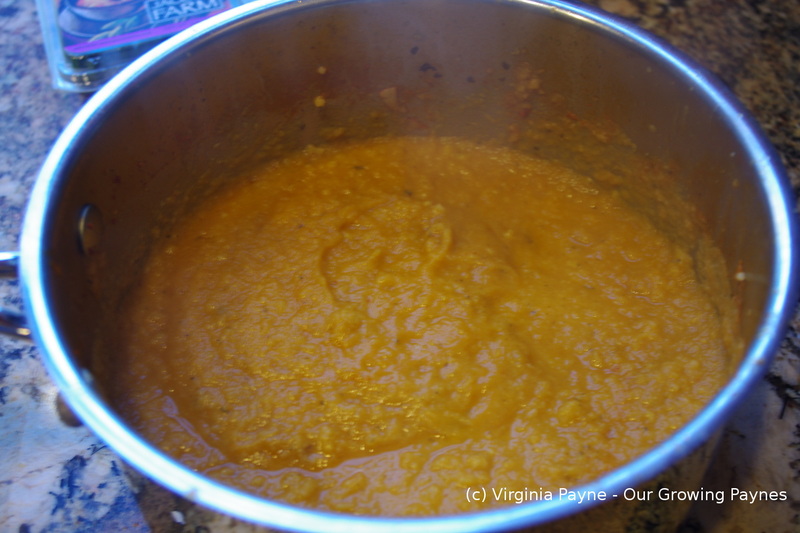 I love curried parsnip soup and have made it over the years regularly. 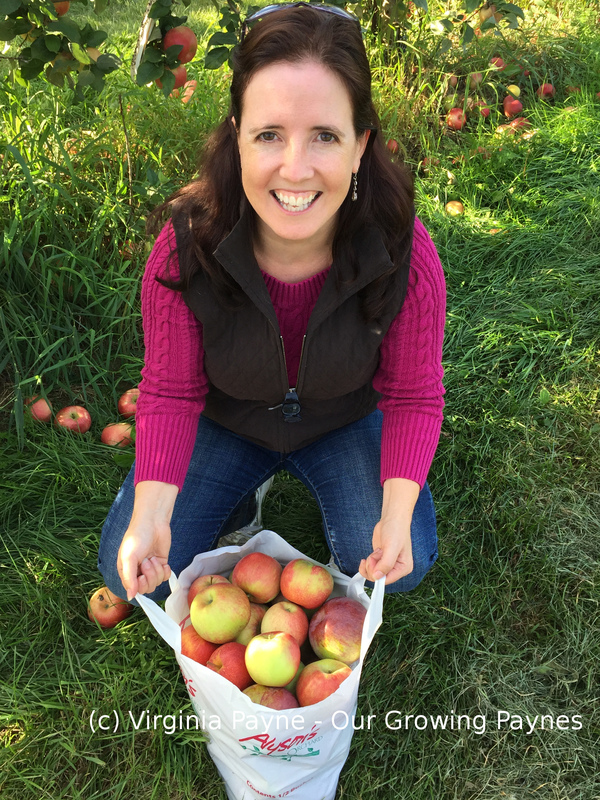 I first found it some 30 years in a wonderful book called “Good Things” by Jane Grigson….